From Kavanaugh role in Whitewater, to the farce of OJ’s defense team .. the immorality of lawyers who hide behind the facade that their encoded ethics are ethical, make law a fertile ground for thuggery. 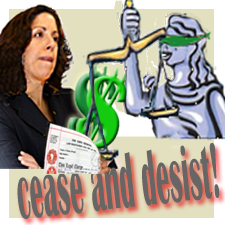 Dershowitz is the ohso pious poster boy for legal thuggery. This man masks himself in the cloak of the Constitution a as if morality is irrelevant as long as an attorney can be well paid to use the law in her client’s interests. The abuses of legal thuggery go beyond confirmation hearings. Corporations and the State use the bottomless pit of their hired attorneys to threaten the rest of us with legal action if we do not do as ordered. This behavior remnds me of the scene in cowboy movies where the thug fires bullets at the feat of a poor victin. “Dance John Dance” is all too common. 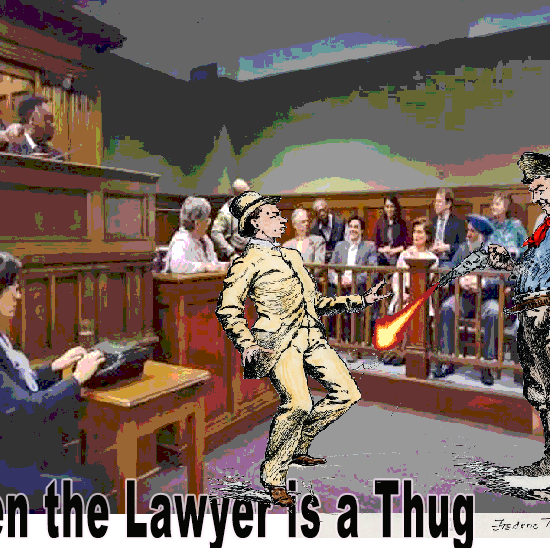 Like the rest of us, I have encountered a lot of legal thuggery in my rather ordinary life. How do we change this? ← SUNDAY REVELATION: Is the promised land in Antartica?